Set in a picturesque 6.5-acre lakefront botanic garden, the former home of soprano Giuditta Pasta (19th-century composer Vincenzo Bellini’s muse) holds a rich operatic history — the name itself, CastaDiva, comes from Bellini’s Opera Norma. 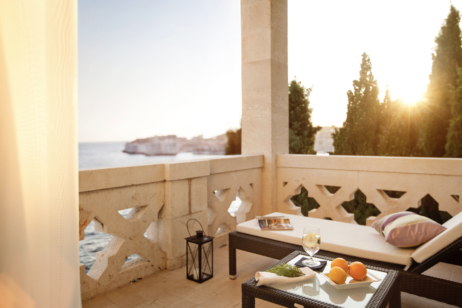 The resort won ‘Most Romantic Retreat’ in the Small Luxury Hotel awards in 2017 and it’s easy to see why. 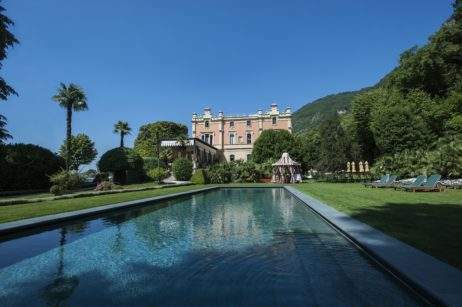 The boutique hotel is set in the quaint town of Blevio and has spectacular views over Lake Como, particularly from the ‘floating’ outdoor pool, which, come nightfall, turns into a stage for an illuminated water display with an operatic soundtrack. 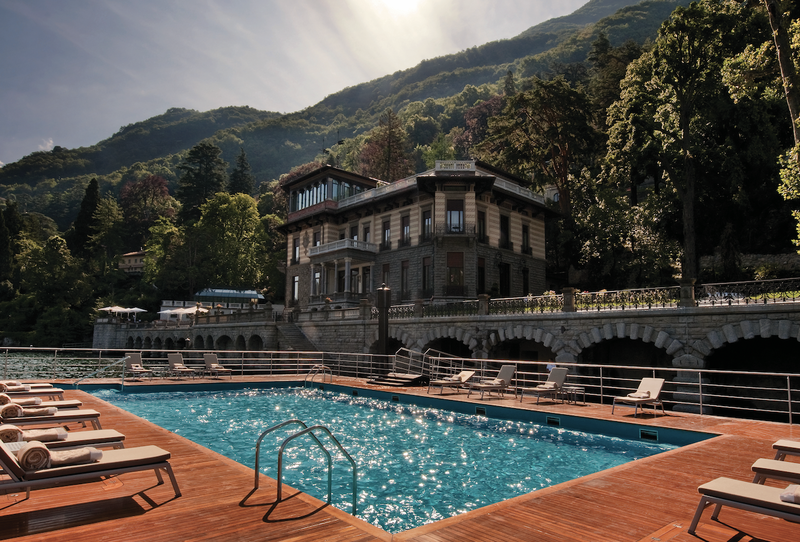 Be sure to visit the spa — designed by Paolo Bodega, it’s the largest spa on Lake Como. degree views of Lake Como. Designed to resemble the hull of an old steamboat, the spa is one of the largest in the region. The Darsena relaxation area has a glass floor suspended over a 19th-century dock, so you’ll feel as if you’re floating on water. We recommend the caviar essence facial by La Vallée — a high-tech formula with active ingredients that uses caviar extract to smooth, plump and firm skin. Newly appointed consultant chef Enrico Derflingher has joined L’Orangerie to bring his expertise to the menu’s classic Italian creations. Having grown up in Lake Como, Enrico returns to work with chef Massimiliano Mandozzi. Also known as ‘The Royal Chef’ following his residency with the British Royal Family (he was the first and only Italian to be employed as a personal chef to the Royals), Enrico has an impressive resume including a stint in the White House as personal chef to former President George W Bush.